Virtual reality is still in the early stage. Most of the good virtual reality headsets are costly and people are not interested in spending much on VR as the less content is available to enjoy. But low-cost VR headsets have made it possible to enjoy VR content without spending much. If you also bought a low-cost VR headset but not sure what to watch on VR, you must read this post and know what apps to try with your new virtual reality headset. There are hundreds of apps available in play store. It also depends on the personal choice about the content. I am adding 10 apps to get interesting content for VR headset. 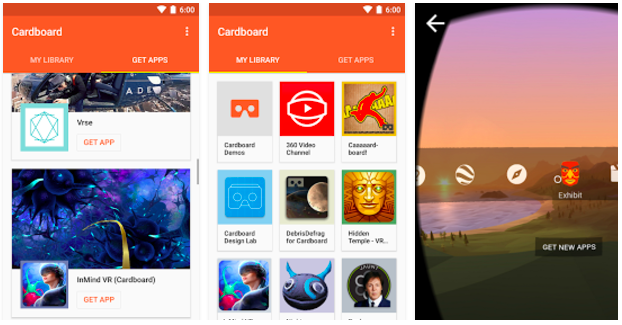 Cardboard is the Google’s app that offers a wide range of content available. It also helps you in learning how to use cardboard based VR headset. It offers Google Earth places, tours to various places, videos, photosphere, and arctic journey. If you just bought a VR headset, do not forget to check this app. 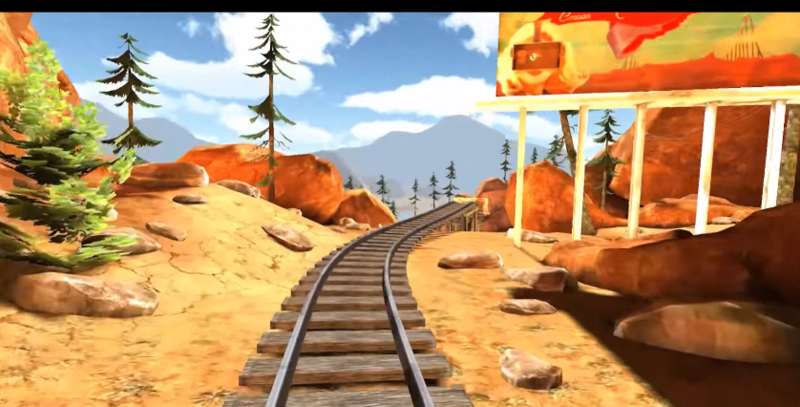 Cmoar Roller Coaster VR is another good app to try in VR headset. This is a paid app but offers good content to enjoy. A free version of the app is also there that lets you enjoy videos of up to 1 minutes. If you want to enjoy the best experience, you can try the full version of the app. If you love watching Discovery channel, this app is for you. You can watch tons of 360-degree videos related to nature, animals and the ocean. 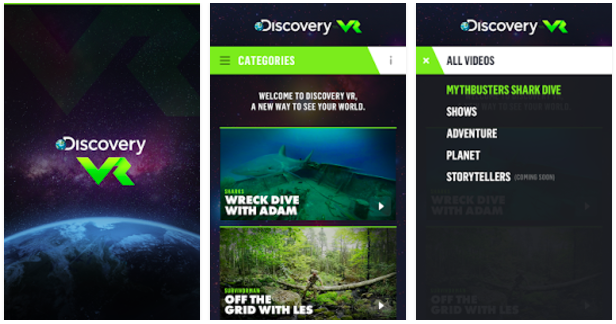 So, enjoy Discovery channel like content on your VR headset. GoPro VR is another interesting app to get adventures videos. 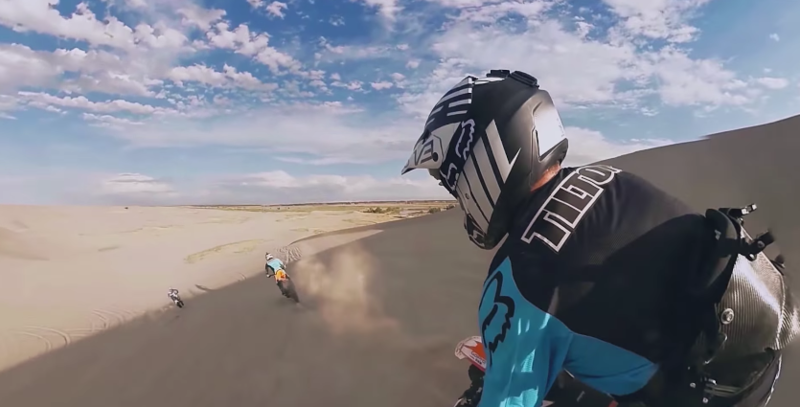 This app provides you the access to tons of adventures and action-packed videos in 360-degree format. You can move your phone around to see the world around you in videos. 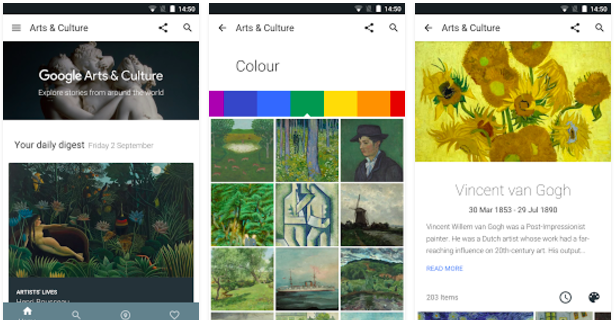 This app by Google lets you explore artworks, artifacts, and more from over 850 museums, archives, and organizations around the globe. You can zoom in to view artworks, take 360-degree panoramic tours and learn more about those places. 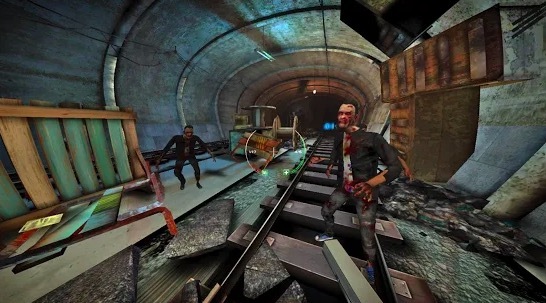 Zombie Shooter VR is an amazing Android game that you can play Virtual Reality (VR) glasses. It supports Google Cardboard based VR headset. You just need to install the game on your phone and then use the VR headset to play it. Netflix VR is for those who want to enjoy videos on VR. Netflix VR lets you enjoy movies and TV shows in a virtual environment. Although the app still needs improvements, still it is worth to try. 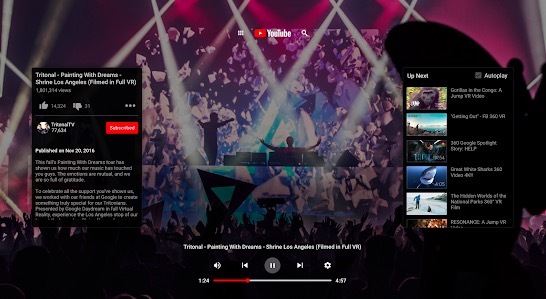 YouTube also has an app for VR where it makes available VR supported 360-degree videos. 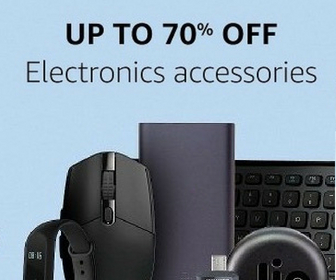 You can use it with cost-efficient cardboard or an expensive Samsung Gear VR. The app allows you to search for videos and watch. 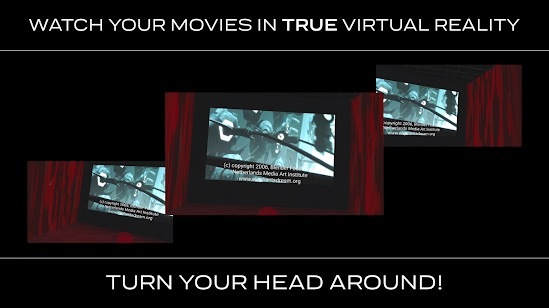 VR theater is a unique video player app for Google Cardboard. The app lets you watch your 2D and 3D movies in a virtual cinema. The app supports several video codecs. It works well. Expeditions is an educational app that can be used for learning. It has over 200 expeditions where you can check various destinations, landmarks, landforms, waterscapes, and tons of other places. There is a 360-degree mode that also works with Cardboard. The app is completely free. 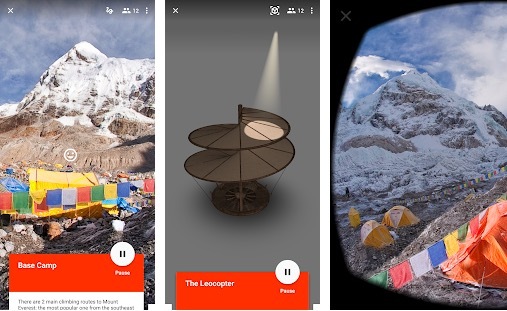 These are some good VR Apps For Android to watch videos and other content through VR Headset. Do share your experiences with us after using one from this list.